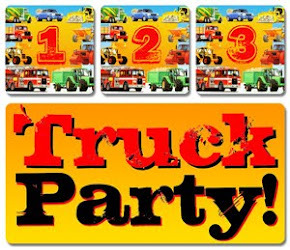 A Big Truck Birthday Party for a boy's birthday is really popular, so here are some great truck party ideas! I have illustrated and written a lot of children's picture and pop up books. There is something about big tractors, yellow diggers, bulldozers, excavators and big red fire trucks that kids and boys in particular find fascinating. I sometimes feel that kids are hard wired for big wheels and dinosaurs! I used to love toy trucks and cars as a child. I would pour through Corgi, Dinky, Spot On ( showing my age here! ) and Matchbox die cast car catalogs. My poor parents, I probably drove them mad! So it was no great surprise that when I became a children's book illustrator that I would start with simple books about tractors, diggers, fire engines and big wheeled vehicles of all kinds. When I started creating pop up books I revisited them and designed and illustrated books such as Big Dig and Truck Jam. So I have a lot of drawings and pictures of trucks in my studio! 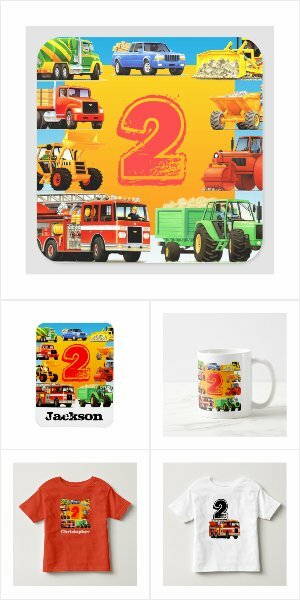 What better to do with them than create a store full of truck themed goodies for truck mad kids of all ages... TruckStore on Zazzle! 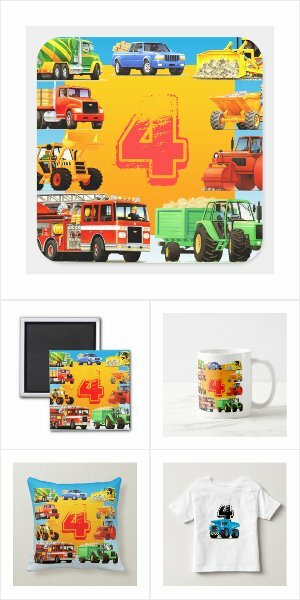 TruckStore is really popular with parents of young truckers and here is my very latest range - Truck Birthday Party! To see the full range of Truck Birthday Party Gifts, Supplies and Ideas, please click on your local flag below to be taken to your International TruckStore on Zazzle, where you will be able to customise all the products to make the task of organising your childrens truck birthday party as easy as possible. 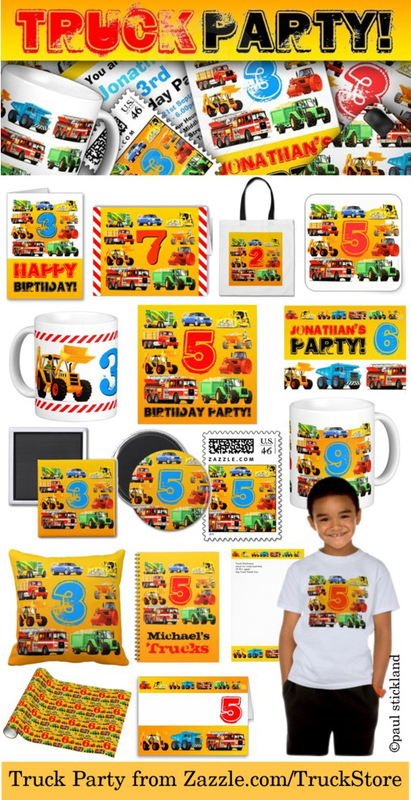 Zazzle makes it really easy to customise your truck birthday party supplies using their easy editing tools. Add your name, age and your party details to these great truck party gifts. If you wish you can hit the customise button and open up even more design options to create something truly unique. Do check out the bulk discounts on Zazzle and it well worth looking out for their special offers for some great discounts. Order in complete confidence, Zazzle offer a 100% satisfaction guarantee.